Summer is here and from our end it looks like everyone’s virtual tour numbers are UP UP AND AWAY! 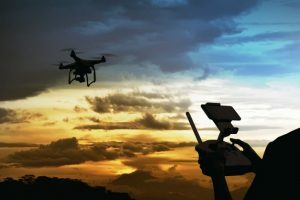 This is great and so many of you out there are shifting gears and bringing on new 1099 photographers, aerial drone pilots, and back-end helpers to keep your production lines rolling and virtual tour company humming along. This month we bring you two new pieces that we feel will help you tremendously on that side of your business. The first piece is a Non-Solicit / Non-Compete document that you can feel free to use. What we like about this document is that is never ends so you don’t have to broach the subject more than once with your 1099 employee. The contract renews every time you pay them for one year from that date. It’s also more binding than a typical non-compete document since you must pay them a lump sum to agree to the agreement. This is available now as a stand-alone item in RPM! Next up we have a step by step aerial drone delivery manual. We know that many of you have helpers and this document takes the BlueLaVaMedia drone delivery process and breaks it down step by step to help move the drone videos and still photos from Google Drive into Fusion and finally get delivered to the appropriate listing agent. We even include template emails that are pre-written for you based on different scenarios! This step-by-step manual was originally developed in 2017 and helped BlueLaVa deliver more than 200 aerial drone tours. It was recently updated and modified to accommodate the new Fusion media manager updates and bulk edit features. This will be a great manual to customize and make your own if you have staff that is helping you out during the busy season! Enjoy the new pieces and feel free to contact us with any questions that you may have! Login to RPM today https://www.RockPointeMarketing.com to download. This month RPM is giving you a very nice postcard to send out expressing your authority as a professional photographer and a property marketing expert! The front side is fully customizable and has images from BlueLaVaMedia already in it for you to use copyright free for your RTV virtual tour business. Feel free to replace these images with those of your own if you wish. 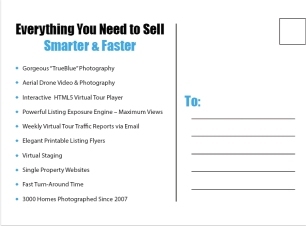 The back side of the postcard neatly lists out some of your favorite and most powerful property marketing services. You’re also able to easily edit and customize the back of this marketing piece so be sure to do so immediately after you download it from RPM. As of late we’ve been making all of our RPM marketing pieces using Photoshop. You’ll need Photoshop CC or another compatible version of Photoshop to fully customize this marketing piece. If you need a legacy version of this saved please email jstring@realtourvision.com and we’ll accommodate your needs once your RPM membership is confirmed. Thanks for your continued support and please realize the importance of steady and continual marketing to both your customers and prospects. It has worked well for the leaders of the RTV network and will do the same for you too! Dennis Washburn understands modern digital photography. 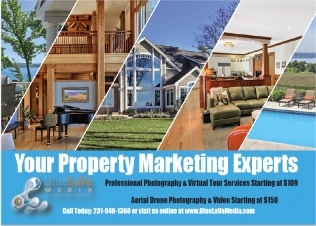 Combining his photography know how and passion for computers, Dennis has established a successful architecture and real estate virtual tour / photography business in Tide Water Virginia. 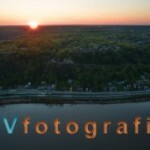 He employs state of the art high dynamic range photography techniques to produce the best quality virtual tours & images his clients frequently use on the internet and in printed materials. 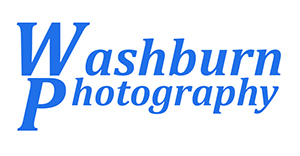 Dennis Washburn Photography serves much of Virginia including Virginia Beach, Chesapeake, Williamsburg, New Port News, Hampton and the surrounding areas. RTV is glad to have Dennis on our team as a certified T4 photographer. He has proven that he has the skills and professionalism to be successful in this venture for years to come. Congratulations Dennis, we know you have worked hard and look forward to many years of partnership with you.